Need parts for your Ford? 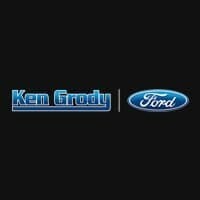 Ken Grody Ford Orange County, serving the Los Angeles, CA, San Diego, CA, and Newport Beach, CA areas, can get you what you need. We take all the guess work out of ordering parts online so that you get exactly what you are looking for. Just fill out our parts order form, giving us as much detail as you can, and one of our friendly parts specialists will take care of your order right away. You can also call us at (888) 288-7830 and our professional, experienced parts agents will take your order and answer any questions you might have.